Have you ever gone on a vacation and you spent the entire time in your room just vacationing to the toilet? Goodness knows, there is no faster way to ruin a vacation. What about when you ate the wrong thing and you know you will regret it for days. Maybe you had to be on antibiotics and threw your entire system off and then you needed healed from the antibiotics too? Or maybe you are the kind of person who is either constipated or has diarrhea all the time. Well all of these are a sign of a lack of a healthy immune system, the immune system that lives within your own gut. The cure is one of the simplest cures out there. Probiotics, it’s that simple. 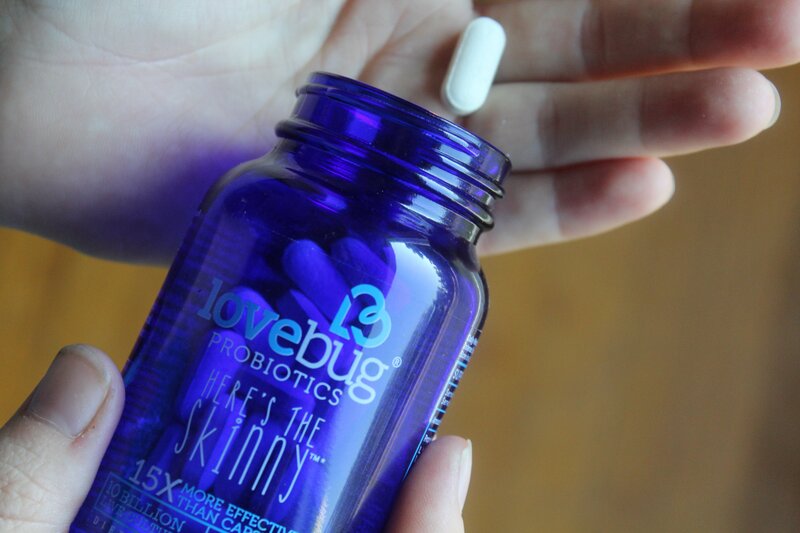 We were recently asked to check out a product, a gut health product, lovebug Probiotics. As a family that used to suffer all sorts of gut health issues I jumped all over this. 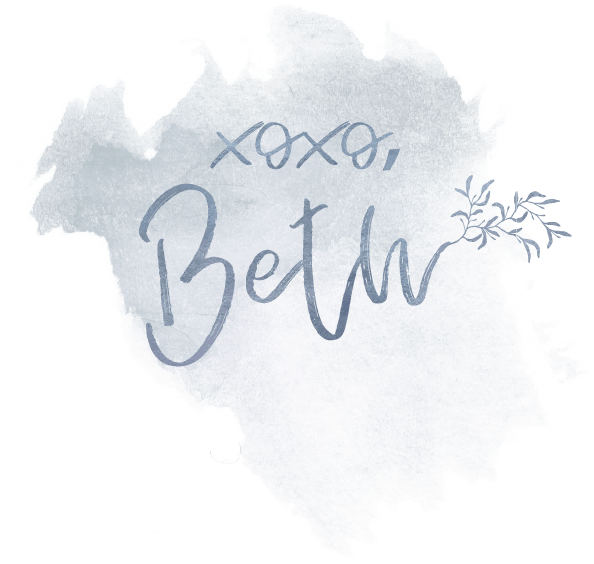 Within our family we have had every problem from eczema to irritable bowl syndrome to constant constipation (all of which can be connected to a lack of healthy bacteria). Being MOM, AKA household health manager, I didn’t exactly know what to do about it. Someones system was always off, and the slightest thing would be bad for this person but ok for that one. Then we learned how important probiotics were to the whole system, and not just digestion but that all sorts of health issues start in the gut. I would like to think my gut health was awesome until the birth of our new little addition. Little miss Laylin, was born via c-section. During and right after c-sections they often administer antibiotics via IV, as a routine measure. Antibiotics destroy bad bacteria yes, however it also destroys all the good bacteria, our microbiome, it’s called. Shortly thereafter another round of antibiotics were prescribed to me to ward off an internal infection. So what did all these antibiotics do? Total annihilation of my healthy little bacteria, that’s what. Bad gut health, and ‘stuff’ not working properly is NOT what any woman wants after any form of birth but most especially after a c-section. There are of course many ways to get probiotics in our systems. Kombucha is one of my favorites, in fact we brew our own. However after I did not have a bunch brewing or on hand (I guess I was pretty busy). 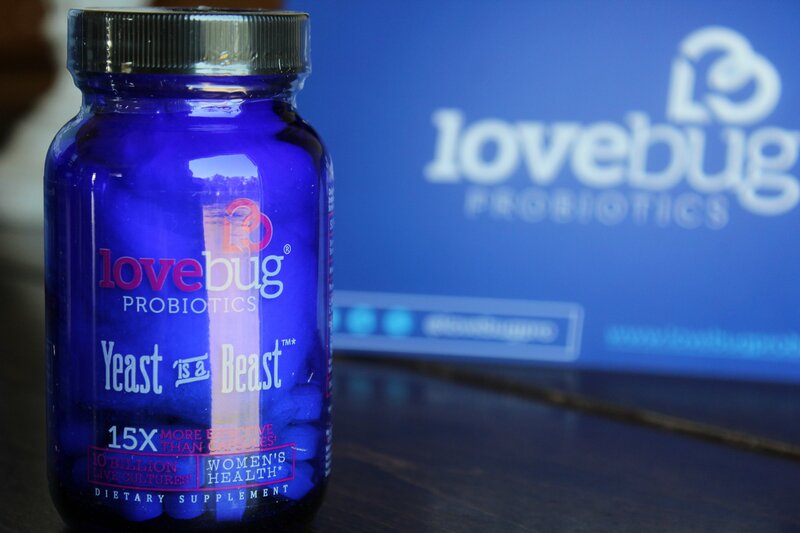 Lovebug Probiotics to the rescue! Oh man was this good timing! I mean it could not have worked out better. In fact I almost always try to avoid antibiotics if at all possible (except in very serious situations, like surgery). So I was able to really put these to the test. I can say I’m impressed. I have tried other forms of probiotics from the store. I never felt they were of much benefit, even the “gut health” yogurts they advertise on T.V. Waste of money, is all I figured. 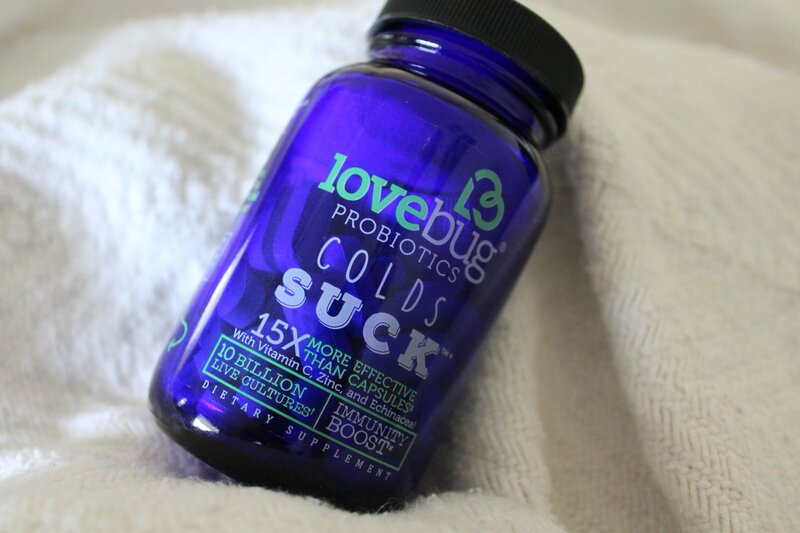 Not the case with lovebug Probiotics. Let me give you a quick rundown. Other than having a cool name, this was one of the products I was in a hurry to try. Typical female yeast issues aside. Being on antibiotics with a new baby always carriers the risk of thrush. I have been lucky to never experience this one but hearing it from other mama’s I never want to either! Thrush is a yeast type infection that often starts in an infants mouth who breast feeds from a mother who often has been on antibiotics. It can also present itself in diaper rashes and it’s no fun. Basically yeast grows out of control when unchecked by healthy gut bacteria, that yeast can then go on to cause female type yeast infections as well as thrush in breastfed babies and moms. So as the name states yeast truly is a beast, and no thank you. Fix that right up with some gut healing probiotics. I am glad to say without any homemade probiotics on hand whatsoever this kept and yeast monsters away. This one is a probiotic for digestive health. 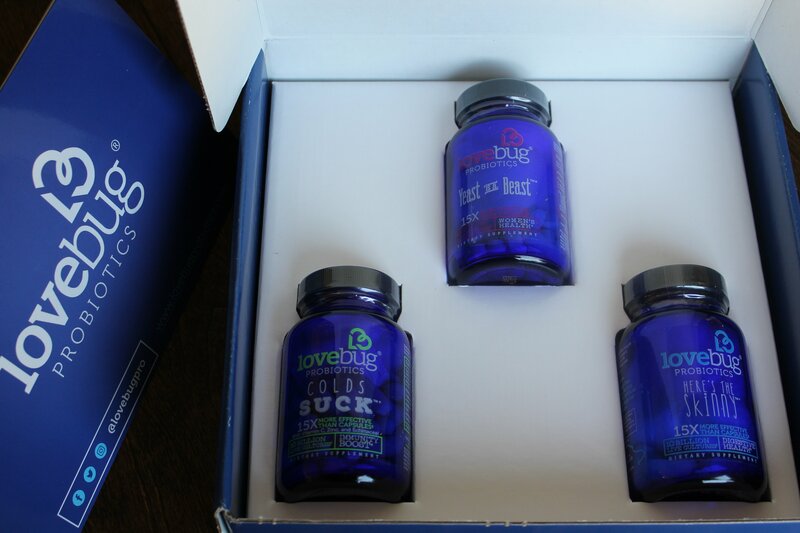 Sluggish system can lead to bloat, weight issues and what I learn from the lovebug folks themselves mood issues. Not only is much of our immune system in our digestive tract our serotonin, or at least up to 90%, is made there as well! Serotonin is our very own feel-good hormone. I am no doctor, but I suspect more new-moms wouldn’t have “baby blues” or PPD if they had a postpartum probiotic plan. There is no argument there! I mean really who likes cold and flue season right? To be fair we did start these probiotic supplements in July, so not a true test like cold and flu season. However they do offer additional vitamin c, zinc and one of my personal favorite herbs echinacea! So rest assured next time I feel a cold coming on I will be taking these, washing it down with some herbal tea and some bone broth soup. 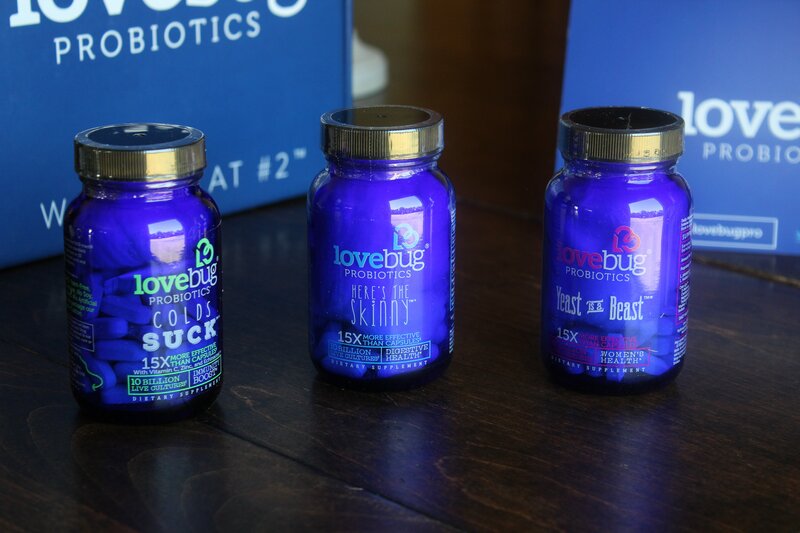 Lovebug probiotics have more products in their impressive line up. Labor of Love specifically for prenatal care, Little Ones for little tummies 4+. lovebug for babies in 3 different formulas 0-6months, 6-12 months, 12 months- 4 years. They also give your first month free on the lovebug website, score! All their products are Non-GMO, gluten/ yeast/ lactose/ sugar/ preservative-free, no artificial colors or flavors. And maybe I’m a total geek/health-nut but they are even packaged with organic cotton and in glass bottles, how cool is that?!! 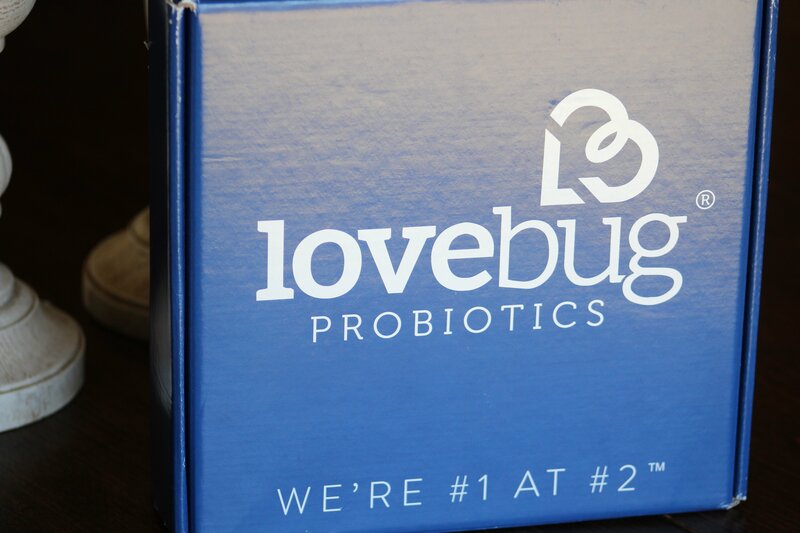 So in all I would say lovebug probiotics are a win. Gut health is extremely important for everyone. In our overly antibiotic filled world topped of with chemically treated crops and gut destroying chemicals everywhere, the majority of people suffer from poor digestive health. We are busy people, and that likely is not going to change. However adding a few beneficial bugs back in can be so easy.